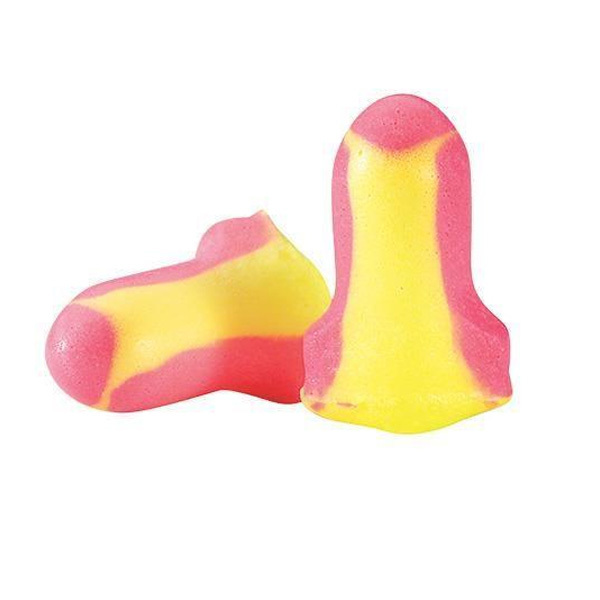 LASER LITE Earplugs feature self-adjusting foam that form fits to the user’s ear canal. Created in a “T” shape with closed cell foam to prevent dirt build-up too. NRR 32. Neon Yellow/Pink.